Port de Balès from Mauléon-Barousse is a top climb. The first 9km are little more than a false flat which lull you into a false sense of security. From here it becomes relentlessly steep with numerous sections in excess of 10% gradient. The road surface is in fairly good condition for most of the climb. On the upper part of the climb there are sections with some loose gravel and some tight, narrow corners, but it is still comfortable to ride on a road bike. There is very little traffic on the climb. Port de Balès is one of our favourite climbs in the Pyrenees. 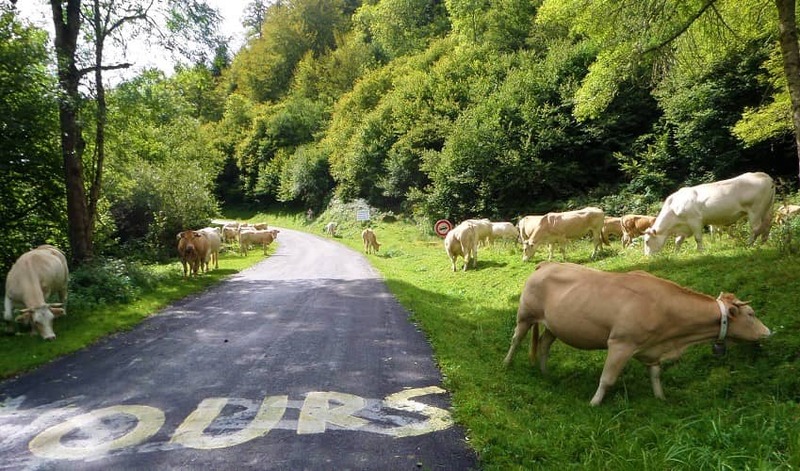 It has quiet roads, stunning scenery and a firm place in the history of the Tour de France. Despite only being used for the first time in 2007, Port de Balès quickly entered into Tour de France folklore following the infamous 'chaingate' incident between Alberto Contador and Andy Schleck in the 2010 edition. 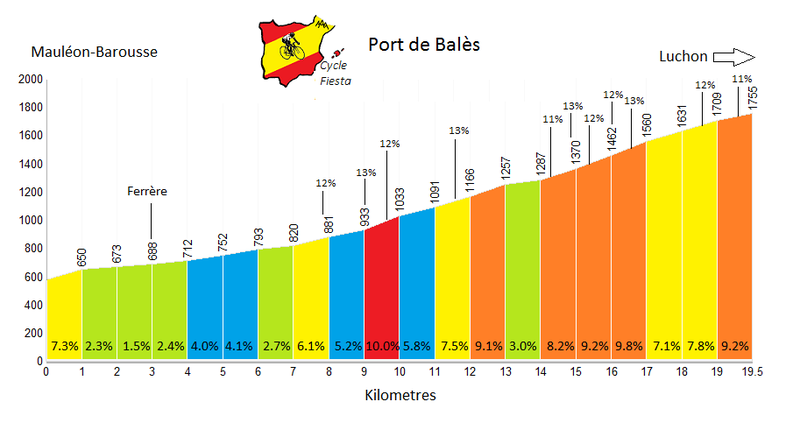 The climb has also been used once during the Vuelta a España and numerous times in the local Route de Sud race. So far it has always been climbed from the north side, beginning in Mauléon-Barousse, largely because descending that side has been considered too techinical for racing. The Mauléon-Barousse is the tougher side, but also the less scenic. It is an enjoyable and really pleasant ascent, but much of the climb is in forest and the views really only open up in the final 3km. The scenery towards the top, however, is fantastic, with great views of Mont Né and across to the Ariège Pyrenees. Port de Balès is usually open from late May to October - although this can be extended depending on the severity of the winter. Port de Balès can also be climbed from Luchon in the south; this is our preferred side. Port de Balès is a highlight of our Pyrenees Coast to Coast and Pyrenees: Classic Cols cycling holidays.